Sell Your House Fast in Oakley, CA: We'll Buy Your House in 30 Days! Trying to sell your house fast in Oakley, CA? We buy houses in Oakley, in weeks. Sell your Oakley house to us in 30 days or faster! Get a cash offer in just 30 min. Need to sell your house fast in Oakley? We’ll buy your home in any condition, and pay cash. Welcome to SOC Industries Inc! We’re a local cash home buying company that pays cash for homes here in California. If you need to sell your house fast in Oakley, CA, we can help. We buy houses in Oakley in any condition, and pay cash for them. We’re not realtors, so we work a little differently. Instead of listing your house on the market, showing it to potential buyers, and then trying to close the deal – we’ll actually buy your house directly from you. This lets us move a lot faster than real estate agents can, and lets us buy your house “as-is” (meaning, no matter what condition it’s in, without you having to make any repairs or anything). In fact, we’ll help with the closing side of things to make it as easy as possible. We’ll take care of the paperwork with your bank, and we’ll even pay your closing costs. Plus, there are no fees or commissions you need to pay in order to work with us. So if you’re in a tight spot and looking for a way out, or just under a really tight deadline that requires you to sell your home as quickly as possible, then reach out to us today to request a cash offer! Our main concern and goal is to help solve your problems, and help you get through a difficult time. We know that selling your home is hard, no matter where you’re at in life. But if you need to sell under a tight deadline, or are facing foreclosure, or making a quick job move, it can be even more stressful. With us, you can rest assured that our goal is to help you reach your goals, and help you get through this difficult time. We pay fair offers for the value of your home. Of course, we can’t pay you market value because we’re buying your house as-is, and making all the repairs ourselves and we need to make our own profit. But we do pay fair offers for the condition of your home, and after accounting for what we need to make. In fact, if you decide after talking to us that you can wait for the right buyer, and want to list on the market (the traditional way) then we’ll even recommend a few local real estate agents to help you, no hard feelings! We don’t pressure you to take our offer. You can take as long as you need to think things over. We strive to do win-win deals where you have your goals met, and we make our goals. We want everyone to walk away happy. We don’t change our offer number up. Some home buying companies will actually end up paying you less then they offered, for whatever reasons they bring up. That’s not how we work. We’ll pay what we say we will every time. We’re ready to buy your house for cash in Oakley. We pay cash for homes in Oakley and anywhere in the surrounding area. Remember, you won’t be listing your home on the market, you’ll actually be selling directly to us. We’ll take care of the closing, and you won’t have to go through multiple inspections or show your house to anyone else. Sell your Oakley home in less than 30 days. We pay cash for homes in Oakley 100% as-is, no matter the condition. 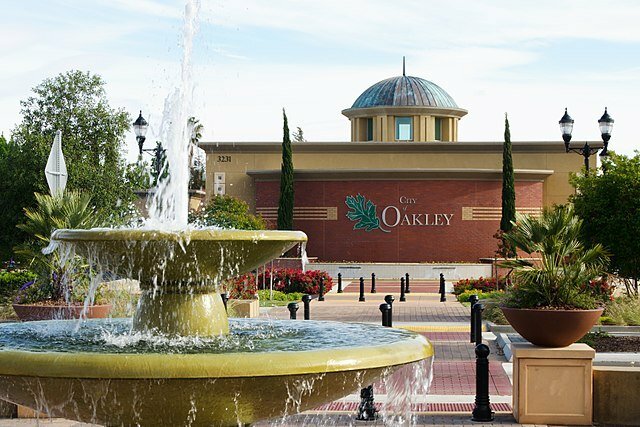 We buy houses anywhere in Oakley, so if you’re looking for honest cash home buyers in Oakley who can help you sell your home as fast as possible, we’d love to talk with you! This really depends on what your situation is. We’d break it down this way: if you need to sell as quickly as possible, if you’re under a tight deadline, if you don’t have the money or time to repair your home and show it on the market, then reach out and we’ll be a good option to make you a cash offer. If you can make the repairs your home will need, and have the time to list it on the market, or if you just really want full market value for your home, then you should go with a real estate agent. Besides Oakley, we buy cash homes in these cities across California.